Thomas May Peirce first opened the doors in 1865 for returning Civil War vets to gain the skills needed to compete in a shifting workplace. 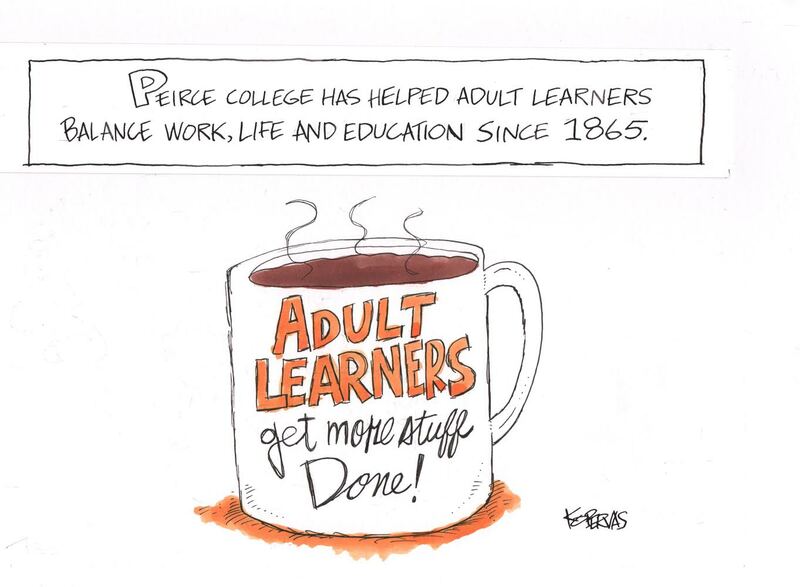 Since then, Peirce College has remained committed to the vision of being the recognized leader in higher education for providing adult learners a direct and customized path to employer valued skills and credentials. 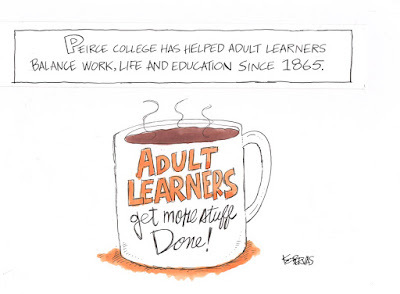 By maintaining this focus over the past 150 years, Peirce has gained valuable insights into the challenges working adults face when trying to balance work and family while pursuing their education. Based on this understanding, we’ve continuously rolled out new, flexible learning models to help students achieve a balance and meet their goals. Examples of this can be seen dating back to the school’s founding when classes offered a great deal of flexibility to accommodate fully-employed students. At that time, students could begin classes at any time and take as long as they needed to complete them, evening classes were available, and classes were offered year round – an innovative concept at the time. Fast-forward over 100 years to 1999 and this focus on making education more accessible for working adults continued with the piloting of online courses. Since their launch, Peirce has been featured on the U.S. News and World Report’s list of the best online bachelor’s degree programs numerous times. Today we continue our support of working adult students by offering a variety of class formats to best meet the challenges of students’ busy lives. These formats include day and evening classes, innovative online courses, and our newest course delivery system which allows students to choose on a class-by-class basis whether to attend online or in person. In addition, Peirce recently began offering weekend intensive classes that allow students to complete an entire three-credit course in only three weeks. As we celebrate our 150th anniversary, we look forward to another 150 years of offering the latest innovations that allow adult students to customize their education in the manner most convenient for their busy lives. To celebrate with us, click here.